The tyres on your vehicle are the only part of the vehicle that make contact with the road, so always check your tyres regularly. 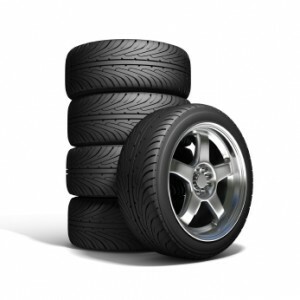 If you need advice about tyres or need a new tyre for your vehicle contact us. We have a large stock of tyres to suit cars vans and jeeps. Tyre Safety – What you need to know? At least 25% of all car tyres are under-inflated by more than 10%. If you drive on under-inflated tyres it will wear the shoulders of the tyre and reduce tyre life. Under-inflated tyres will puncture easier. Check tyre pressure at least every month. Over inflated tyres may cause your vehicle to handle badly or unstable. Very cold weather can reduce tyre pressure. So check tyres in cold weather. 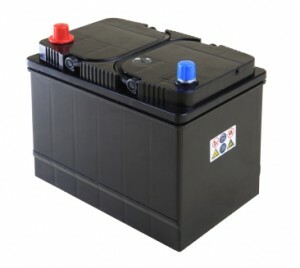 A modern battery is sealed and therefore requires very little maintenance. If battery terminals become corroded you should have them cleaned and apply a copper grease to prevent corrosion. Batteries that have lost capacity may work well earlier in the year but may fail in winter. Why? You see inside a battery there is a conductive gel or fluid called electrolyte. This fluid can become frozen in really cold conditions and reduce the power or capacity of a battery. Good batteries will generally not fail in winter even if frozen. We stock a comprehensive range of quality batteries which carry a two year warranty. Contact Wallace’s Garage and we’ll have a look for you.